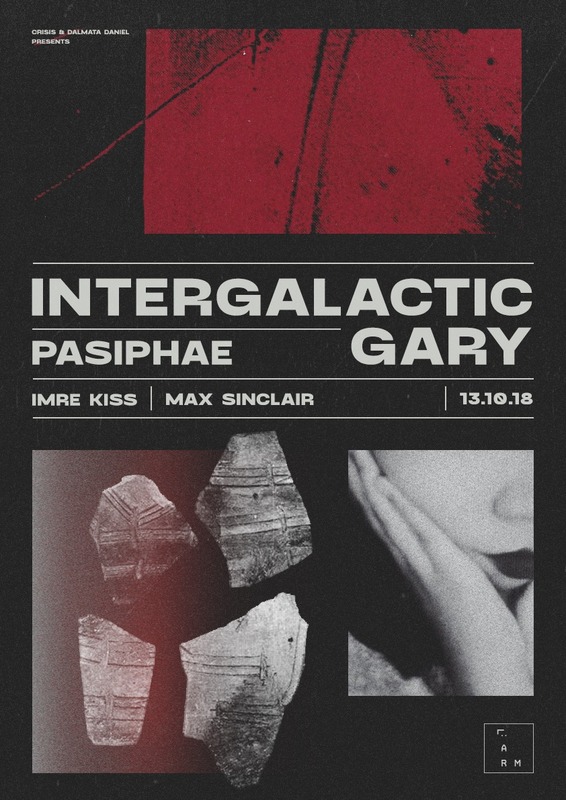 With a career spanning over 30 years, Intergalactic Gary is without doubt one of the most respected selectors living today. Alongside Intergalactic FM and Bunker records he was one of the key figures of the legendary Dutch West-Coast scene in the early 90’s. Gary's versatile sets and excellent mixing technique make him a true master behind the decks. Pasiphae is a Greek born producer and dj residing in The Hague. Her latest release came out on Interstellar Funk's Artificial Dance label. Her residency in Amsterdam's hottest new club, noorderschip and appearances at Red Light Radio and Dekmantel festival make Pasiphae one to watch for. Local support comes from LÄRM residents, Imre Kiss and Max Sinclair.